Maiden Newton, Nr Dorchester, Dorset, England. I trained with the Royal Academy of Culinary Arts in England and started my apprenticeship at The Ritz London. 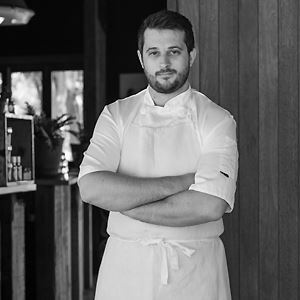 In my 6 years at The Ritz London I progressed to Sous Chef, before moving on to work at Daylesford (An Organic Farm to Plate Concept) and later at Rhodes 24 which held a Michelin star until closure, before finally working with Evolve, a leading consulting and recruitment company in London. During my time at The Ritz I competed in culinary competitions and was awarded ‘Best Young Chef of Europe,’ I also had the chance to stage in Michelin Restaurants in both the UK and in France. I eventually found cooking at school (aged 12) and became very interested in everything food, however prior to this I hadn’t considered a career in the kitchens as an option. However, I started to do more research into this subject, and being from the countryside, farming was in abundance, my father was a butcher and I enjoyed fishing so I guess I was always surrounded by food - although never realised it until I began cooking and understanding where great food comes from. The style of my cooking and the food here at Mt Lofty Ranges is most definitely influenced from my time at The Ritz London, under the watchful eye of Executive Chef and Mentor John Williams MBE. However, I feel that my other experiences and influences over time have added to my style, these have come from both dining out and working in other kitchens. 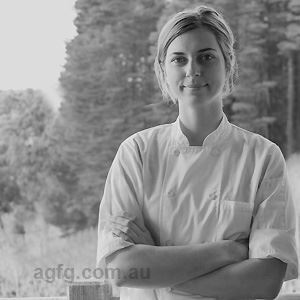 This has all contributed to a style that I feel is clean, with defined flavours, utilising the best that South Australia, and more locally, the Adelaide Hills has to offer, working with the local growers to have a menu that changes due to the availability of produce rather than change for the sake of change because ‘we have now finished Summer and are entering Autumn’ for example. 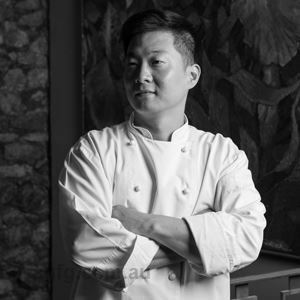 I also spend a lot of time trying to take flavours or techniques away from the dishes that do not enhance the eating experience and try to see past the ‘trends’ to create food that is approachable to the guests and focuses on quality ingredients cooked sympathetically, as opposed to laying techniques and flavours that I feel cloud the palate. Due to working so closely with growers and therefore with produce that can have a short shelf life, we can, at any given time have a glut of a particular ingredient so we tend to try to preserve what we cannot use and this will be incorporated into dishes later in the year – so you will generally find something preserved in some way on the menu. Cleaning!! But with the food it is striving to take anything unnecessary off the dish, whether that is an ingredient, a movement on the plate, or a technique, that can detract from the dining experience and quality of the produce that one of our suppliers has taken the time and care to grow. Magnus Nilsson – having eaten there last year, it secured his name on the list, an eye-opening dinner of how to source, preserve and serve the best ingredients from the local environment. Not over complicating any dish, using only traditional techniques to create a modern dining experience. 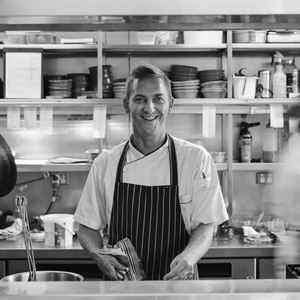 John Williams – My Chef from The Ritz, teaching attention to detail, the importance of quality ingredients and careful cooking with an emphasis on the history and heritage, which is of such importance to the guest and the building. How the cooking of a single ingredient correctly and respectfully is infinitely more important than how many ‘cheffy techniques’ are used – it doesn’t matter how good it looks if it doesn’t taste good and mean something. Dan Barber – The "3rd plate ethos” that we should be eating nose to tail; not just of a single animal or utilising a single ‘forgotten grain’ but by encompassing the life cycle of the growers and the farmers, including utilising stock rotation of crops and animals. Fergus Henderson and Daniel Humm – On the outset two very different Chefs with very different restaurants who have probably never met properly. However, Fergus has always favoured and promoted using the whole animal, but more importantly, understands (as with Daniel Humm) that less is more in most cases with only 2 or 3 ingredients, treated properly are usually more exciting than complicated and sometimes confusing flavour combinations. Daniel Humm’s celery root and black truffle ‘2015’ dish is the best example of this and the point that he said he changed and defined his restaurant’s ethos. I love that the industry is forever changing and incorporating styles but still holding on to tradition. Salt – this seems obvious, but it is the medium for cooking our vegetables baked in a salt dough, it enhances flavours in sweet items, and helps us preserve some of the great produce we have. The quality of the Chickens we have on the menu from a farm that is mere minutes from the restaurant and vineyard is something I would label as ‘eyebrow raising.’ It tastes as chicken ‘used to taste’ with a delicious fat layer under the skin and a texture that only the best chickens have. To top it off they have a great life and are extremely well cared for. This would be the Peach and Almond dessert we had on the menu throughout the peach season, it was a harmonious dish that had texture and balance. Even now the season is finished we have this on as a pre-dessert on our tasting menu, using ‘leather’ that we made earlier in the year in place of the fresh peach – at least until this runs out.